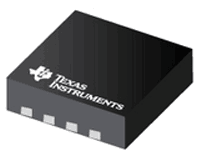 This 28-bit 1:2 configurable registered buffer is designed for 1.7-V to 1.9-V VCC operation. One device per DIMM is required to drive up to 18 SDRAM loads or two devices per DIMM are required to drive up to 36 SDRAM loads. This 25-bit 1:1 or 14-bit 1:2 configurable registered buffer is designed for 1.7-V to 1.9-V VCC operation. In the1:1 pinout configuration, only one device per DIMM is required to drive nine SDRAM loads. In the 1:2 pinout configuration, two devices per DIMM are required to drive 18 SDRAM loads.